Mr Van Duyn has been training with Hicks Karate since its early years. He initially brought his sons to train with us and started as a parent with a history in karate from his early days. Later his younger daughter also began training with us and after seeing them all do so well he began reintroducing martial arts training himself. 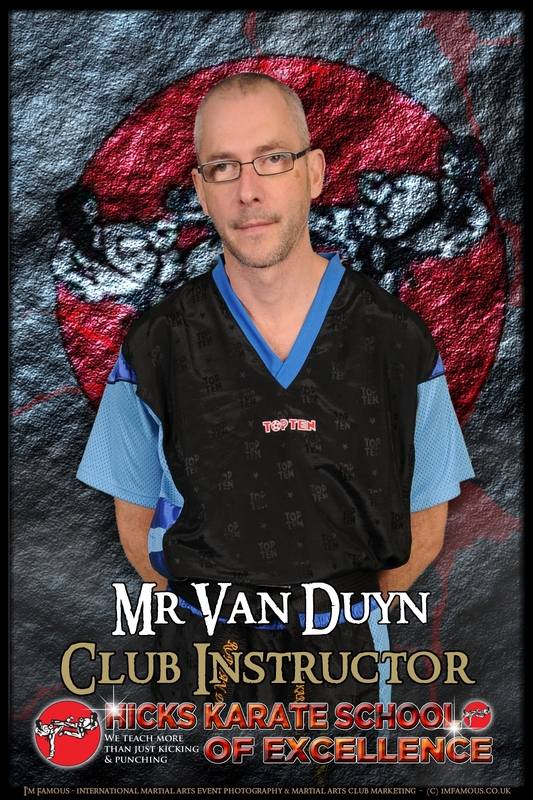 Mr Van Duyn became an important part of our instructing team first as an assistant instructor helping in classes and following his achievement of his black belt in 2015 as an Instructor. He now teaches our family class which is a programme designed for adults and children to train together as a family. Having his whole family train in Martial Arts all at different levels and stages of the journey he knows only too well how Martial Arts can be a true family sport and his experience in Martial Arts for different ages and stages makes him a truly valued member of our team. His 20+ year journey to black belt and ongoing back pain during this time has lead him to instill confidence in so many individuals that once thought Martial Arts was out of their grasp.